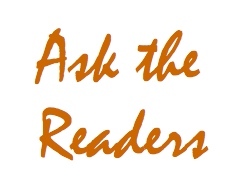 Ask the Readers: Do you have a favorite book for parenting AND leadership? I’m always thrilled to come across leadership books that give me ideas for being a better parent, and parenting books that I can use professionally to make me a better leader. I’d love to read more of them. Do you have one to recommend? Earlier this week, I visited Hackbright Academy to help with a workshop on interviewing skills. Poornima, my partner at Femgineer, taught the workshop, and at one point she mentioned that I have a blog about the intersection of leadership and parenting. Her comment led one of the students to approach me at a break to find out more about my blog. She shared with me that she has two children, and that, for years, she’s been noticing overlaps in parenting and leadership. In fact, there was a single book that had a huge influence on her both her parenting and leadership styles. It’s called “Mindset” by Carol Dweck. I’ve added it to my list to read! I bet there are many more books that cross-over between parenting and leadership. Chances are they were written for one audience or the other, but the advice is applicable to both home and work. Do you have one to recommend? A parenting book that gave you ideas or inspiration to be a better leader? A leadership book that helped you with a parenting challenge you were experiencing? Please leave a comment to tell me about your favorite books. I’d love to read them. Previous PostEmbrace the GapNext PostUse your words! I got a lot out of the book Quiet: The Power of Introverts in a World That Can’t Stop Talking by Susan Cain. It starts out by addressing how to manage introverts best but ends with applying similar principles to offspring that are showing introverted tendencies. Thanks for this suggestion, Donna. I’ve watched Susan Cain’s TED talk, but haven’t yet read her book. Adding it to my list right now! The style is antiquated at best, and the examples are sometimes terrible, but the chapter on “encouragement” is awesome (if I ever wondered what training programs meant by “empowerment”, Dreikurs answered it), and some of the practical advice was also excellent. (“Don’t do things for them that they can do themselves”, “Don’t get into power struggles”, “Encourage independence”, “Set aside time for training”, “Mind your own business”, “Eliminate criticism/minimize mistakes” and so on – a long checklist that allowed me to identify some unproductive behaviors and avoid them). Thank you for the recommendation! “Children: The Challenge”: originally published in 1964, republished in 1991…it’s good to know the advice stands the test of time. I’ll check it out.